emka Blood Pressure Transducer is a fluid filled catheter, adapted to the size of the artery, ideal for blood pressure measurements in the range of -50 to + 300 mmHg. 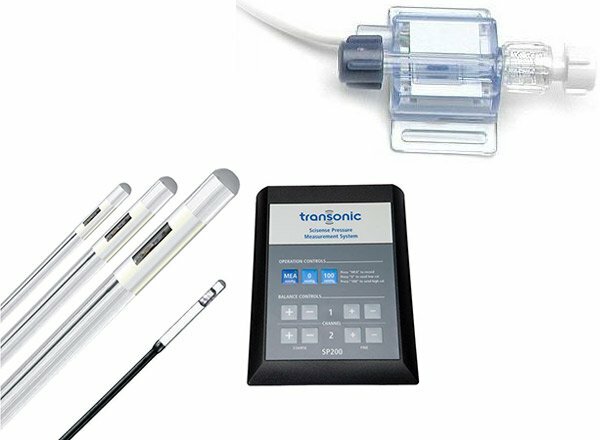 Transonic Scisense Catheters offer solid-state sensors mounted at the tip, to measure pressures with a high degree of precision. They are ideal for arterial, venous or cardiac pressures due to the solid-state sensor’s ability to accurately respond to minute and rapid changes in pressure. All 7.0F Catheters are available with an optional lumen to allow drug administration, blood sampling or guide wire insertion. 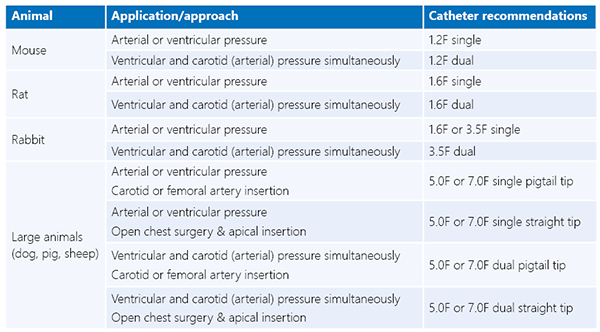 Catheter size is based on animal weight and application. Small vessel applications may require a smaller size than the listed suggestion.